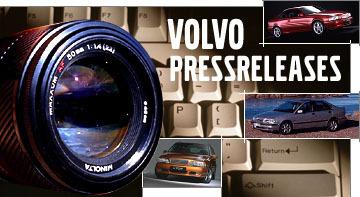 On May 5, 2013, it is 20 years since Volvo's single best-selling model, the 240 series, went out of production. Almost 2.9 million cars were made during the 19 years the 240 was produced; the car that first was criticized for its boring and boxy appearance, but during its lifetime managed to set the international standard for both safety and environment, win the European Touring Car Championship and achieve the status of yuppie cult car before it was discontinued in May 1993. The Volvo 240 was introduced in August 1974 as a logical continuation and development of the popular 140 series of cars, featuring a number of new and innovative technical solutions in many areas. This was especially emphasised by the very high level of safety and the car bore a strong visual resemblance to the VESC safety concept car that Volvo had showed two years earlier. This, among many other details, meant very large bumpers which gave the 240 its characteristic protruding jaw up front. The 240's dynamic and safety properties were well received but less so its aesthetic values. The design was considered boring and perpendicular. Like the 140 series some years before, the 240 was also marketed in a more luxurious version with a six-cylinder engine, the 260, and as an estate; Volvo's pièce de resistance. 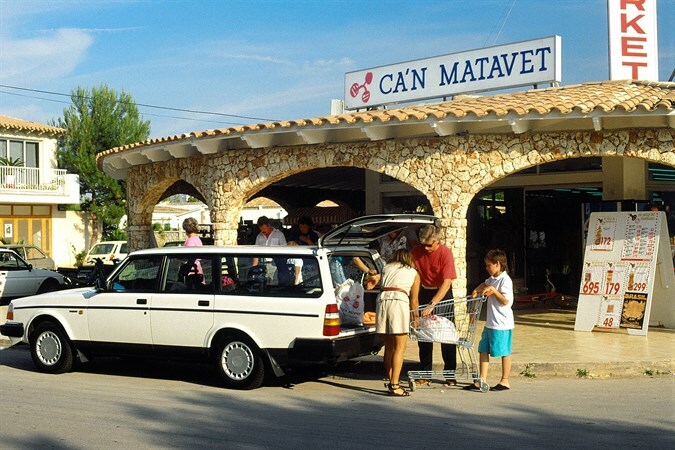 The Volvo 245 almost became synonymous with the very concept of estate cars or station wagons in general. A truly versatile car that swallowed everything imaginable while at the same time, was both fun to drive and comfortable, and featuring the highest safety level on the automotive market at the time. 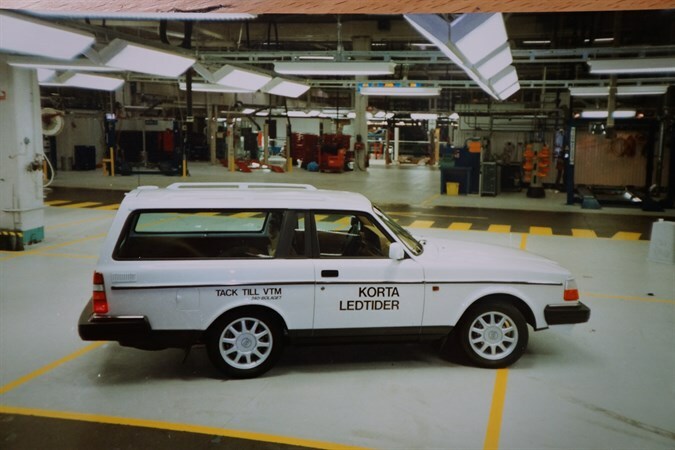 After a long series of crash tests carried out by the US traffic safety authority NHTSA, using 240 and its competitors, it became clear that the Volvo 244 by far provided the best occupant protection. The results were therefore used to form the basis for the future US safety legislation for all cars that were going to be sold on the American market. At the same time, Volvo also worked intensively on emission control, trying to control the unregulated oxidizing catalyst that was going to be introduced soon and to make it - under certain conditions - reduce the three harmful substances hydrocarbons (HC), carbon monoxide (CO) and nitric oxides (NOX) to negligible levels. By improving the exhaust cleaning capacity through controlling the fuel/air mixture in the narrow band where the ratio for the catalyst is at its optimum, in 1976, Volvo became the first car manufacture to serve the solution: The Lambda sensor. This genial little piece of engineering enabled the catalyst to cut more than 90 per cent of the harmful hydrocarbon, carbon monoxide and nitric oxide levels that are created as a result of the combustion of the fuel/air mixture. The year after, California introduced new stricter maximum levels for these substances (hydrocarbons 0.41 g/mile; carbon monoxide 9.0 g/mile; nitric oxides 1.5 g/mile) which by then were the strictest in the world. Volvo cars using three-way catalysts and Lambda sensor emitted considerably less than these levels. The emissions of nitric oxides were very low and as a consequence, Volvo was awarded for its pioneering work by the Carter administration. 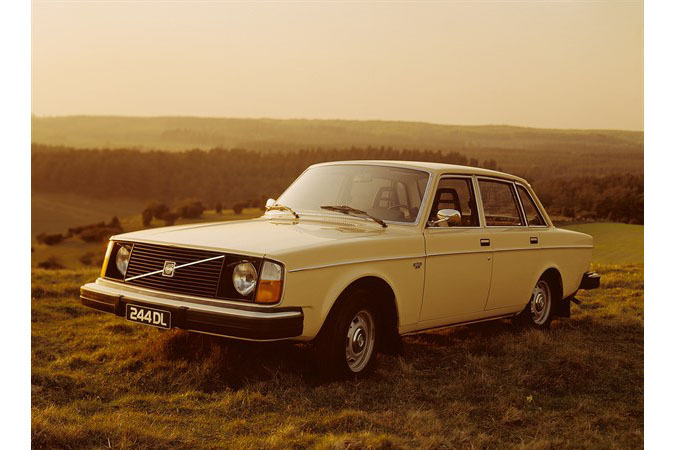 Volvo 240 was a step, or more, ahead of the industry in terms of safety and environmental care and was a model that was continuously developed and updated during its existence. The cars were refined and revitalized over the years. New technical solutions were added; turbo-charged and diesel engines were introduced at an early stage. 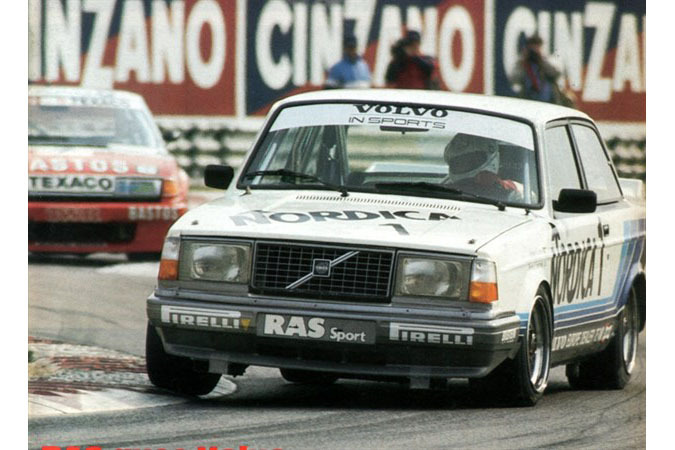 The reputation for being a boring car was efficiently erased when the Volvo 245 showed itself to be the world's quickest estate car and when the "Flying brick" swept the competition off the racing circuits of Europe on its way to become the Group A champion. 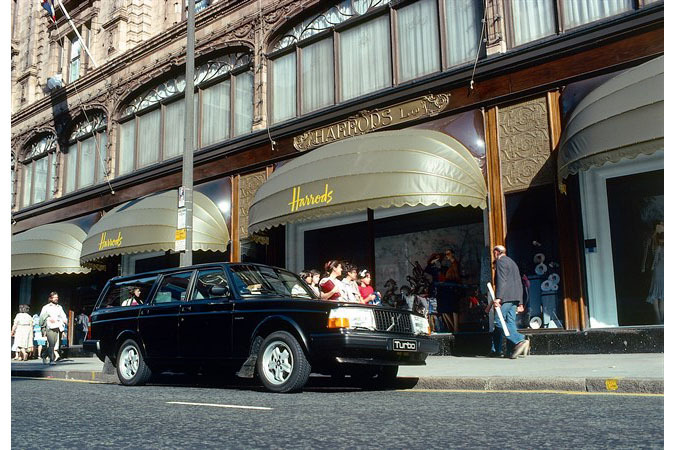 During the final stages of its life, the 240 was only offered as five-door estate car and experienced a real renaissance when it suddenly became the car to have among many European so-called yuppies. This was particularly the case in Italy where the 240 Polar, as it was called, was the trendiest car among young conscious people and achieved a cult status. The 240 family was by then handled both product and production wise by a separate company within the company, the 240-bolaget; a separate but integrated unit. However, on May 5th 1993 it was all over. After 19 very successful years and 2,862,573 cars, of which 177,402 were 260s, the 240 took its final bow, almost at the same time as the chairman of AB Volvo, Pehr G Gyllenhammar did. He had been one of the biggest fans of the 240 over the years and had used many different versions. Several of them were real 'specials'. The very last 240 to be built was also a special, a shortened version made just for fun by the project. This short 240 was a thank you for the efforts done by the entire 240 crew and symbolized shortened leadtimes. The last 245 to reach a customer went to a Swedish lady who were handed her keys by P G Gyllenhammar at a small ceremony beside Line 2:4-2 under the motto "The last 240 and the best". There are still plenty of Volvo 240 cars on the road all around the world, at least 20 years old and still used as faithful everyday cars. There are even dedicated clubs that work actively to preserve the 240 and to secure its future, just like the 240 for many years worked to secure the future of Volvo Cars.